One of the trending stories on Republican news forums yesterday was a poll from the website The Hill that stated: “Dems have double digit-lead over Republicans.” In response, someone had posted the now infamous graphic from the New York Times back in 2016 which showed Ms. Clinton has an 85% chance of winning the presidency based on voting intent. We all know how that ended. The problem for the left is that while many youngsters say they want to change and will vote this time around, the percentage of them actually turning up to vote in the US hovers around 20%. Many on the progressive side claim that thanks to the now famous Parkland protesters like David Hogg and Emma Gonzalez this number is sure to go up. However, Target Smart, a Democratic political analytics firm, said there was indeed an increase of registrations of 18-29-year-olds nationwide following the Florida shooting, but overall it made for only a 2.16% increase in votes for the left-wing candidates. An associate professor of Political Science at the University of Florida, Dr. Michael McDonald, is also convinced that this time around it will be different because of the engagement of young people against US President Donald Trump. Mr. McDonald: “You do expect young voters to be more engaged in this election than in recent ones." "People vote when they're interested. The issues have to matter to the voters in order for them to be engaged and young people, because they haven't been exposed to politics for as long, don't have strong attachments or aren't following politics as close as older people." Just as with Brexit in the UK, the voting public that showed up to vote for Trump in the 2016 election are in fact the older part of the population that knows what is really at stake and can see ahead with a ten-year span as to how a policy will affect them in the long term. The current generation of millennials does not think like that. 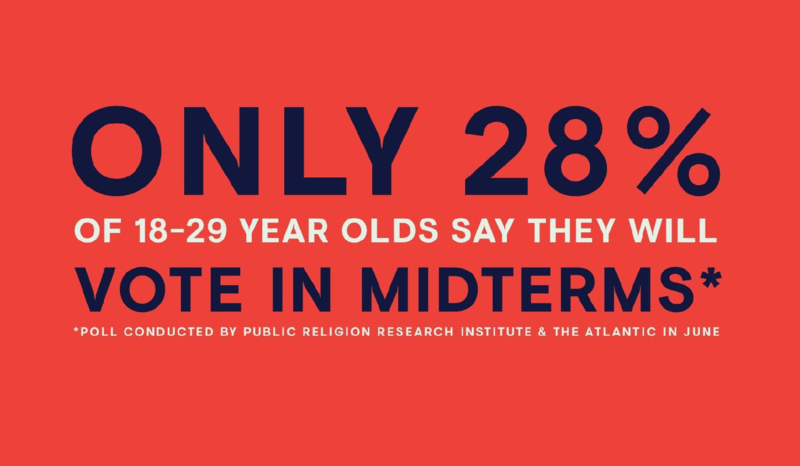 Lastly, a recent NBC News poll showed up that people under 30 (the so-called current millennial generation) made up 13 percent of the midterm electorate in 2014 and 12 percent in 2010. The Democrats will need more than just Taylor Swift and Rihanna urging young people on to get a bump. If they don't vote republican, they can go back to mom's basement.